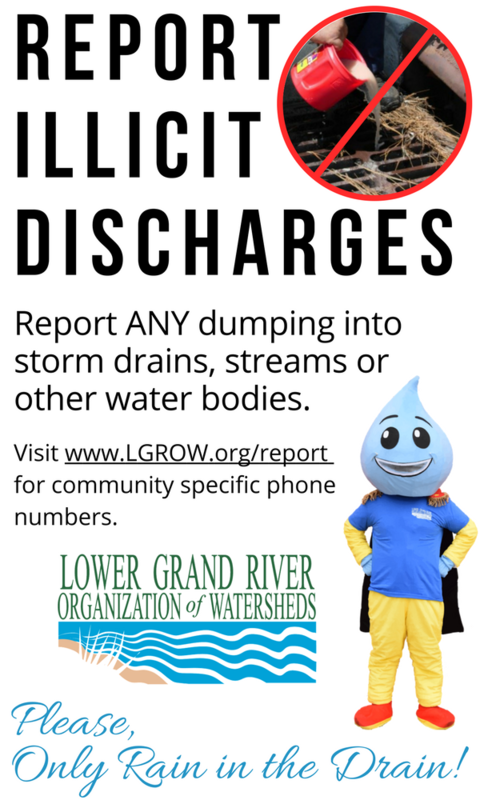 For more information about what an illicit discharge is, isn't, and what to look for, go here. Dump no waste! If you observe someone dumping something down a storm drain, please report it through your local municipality. Anything dumped down a storm drain will pollute our local waterways, and will likely end up in the source of our drinking water. Spills of materials and substances down the storm sewer system should also be reported.